Three loops of 4-5K (2.5-3mi.) each plus a spur trail of 1.3K (.8 mi.) located off the first loop. These hilly trails wind through a beech-maple forest, brushy fields and a pine plantation. 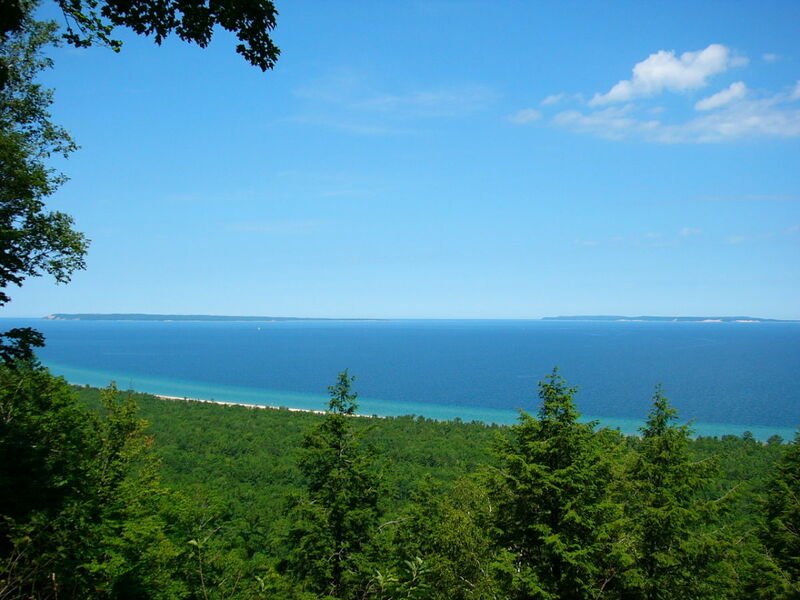 There is a view of Lake Michigan along the first loop and a view of Glen Lake at the end of the spur trail. Both views are somewhat obscured by trees. Horses are permitted on this trail. Trailhead: From M 109, 1.6K (1 mi.) north of the Dune Climb, turn onto Day Farm Road. At Stocking Road turn left. Or take Stocking Road south from M 109 just east of D.H. Day Campground. The National Lakeshore charges a visitor fee of $20 per vehicle for a seven day pass or $40 for an annual pass. Mountain bikes are not allowed on any of the National Park trails. Pets must be kept on a 6-foot maximum leash. 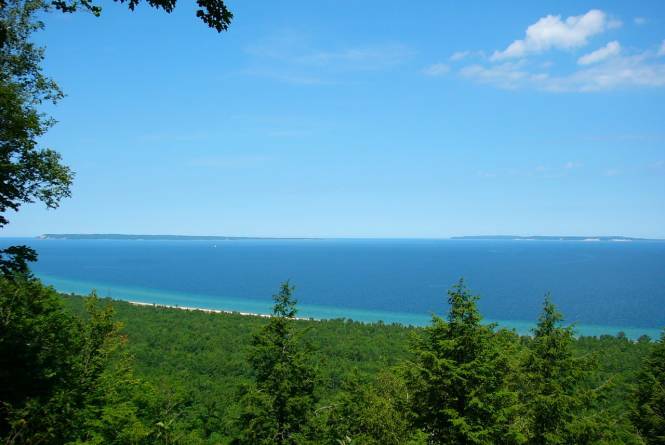 Stop by the Traverse City Tourism Visitor Center for a printed map or download a map from Michigan Trail Maps for a small fee.